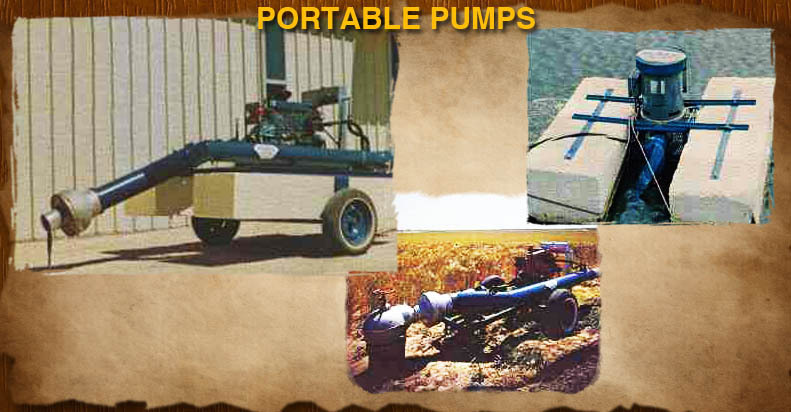 Nammco Machine Shop designs & manufacturers all types of portable and stationary pumps including gasoline and electric drives. NEW NAMMCO FAMILY OF MULTI-PURPOSE ENERGY-CONSERVING PUMPS. Push it into the water and watch it float. Built in 4 and 8 inch sizes. This on does away with expensive frame work. 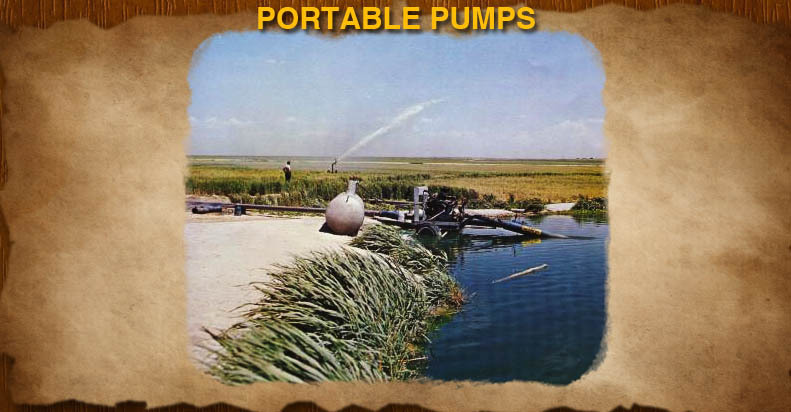 A slant pump unit, it is one of our most popular models. 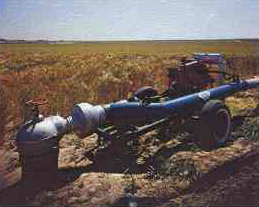 It is economical to install because no special installing equipment is required. It is also equipped with On-Off electrical switches for safer, easier operation. We manufacture it in 4, 8, 12, 14 or 20 foot lengths. in the portable model you get the same constant-prime feature. The stationary unit is of permanent design. 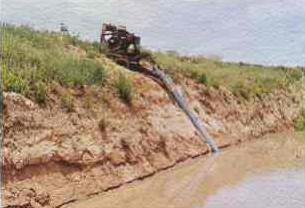 Note how it can be positioned on a very steep pit or lake bank. 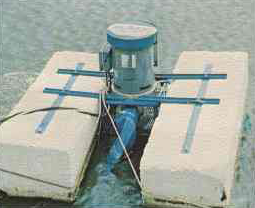 A new adaptation that includes styrofoam pontoons and a connection for rubber hose or aluminum pipe. 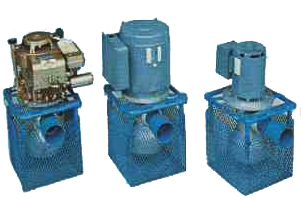 Vertical hollow shaft, 15 to 75 HP electric drive design. 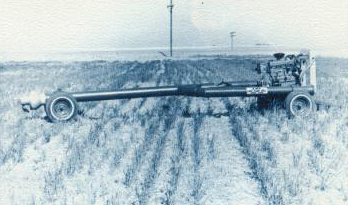 4 or 8 inch inch models. 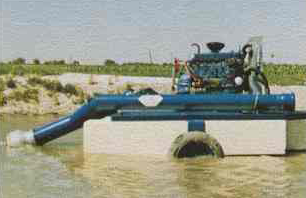 The all new NAMMCO FLOAT can be equipped for any other model. An all-steel framework permits launching and docking. easy transportation, assembly and disassembly. 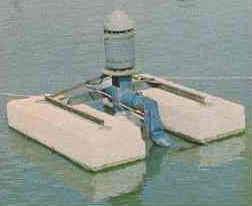 Use it on floats or lift it out and set it on the bottom in a shallow water. 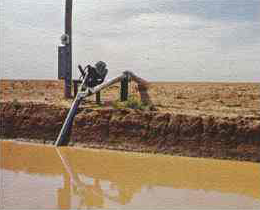 The 1408 is our finest 8 inch lake pump for high efficiency and high capacity pumping. 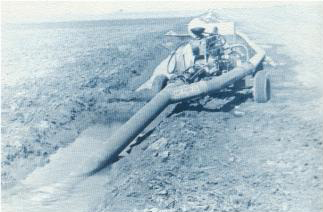 It will deliver 1200 GPM with NAMMCO Standard Impeller. 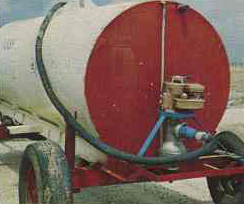 It will not break prime and will pump available water quickly and efficiently. 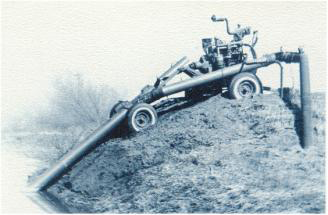 It is powered with a 292 6-cylinder engine. 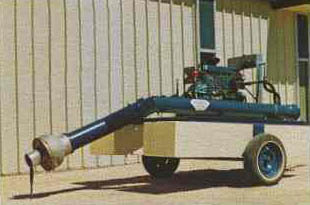 The 1408 Pump can be mounted on an auto steering chassis, trails excellently at 60 MPH. 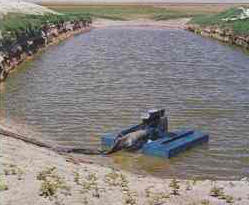 It can be put into operation in minutes, going to work for you in saving your valuable surface water. 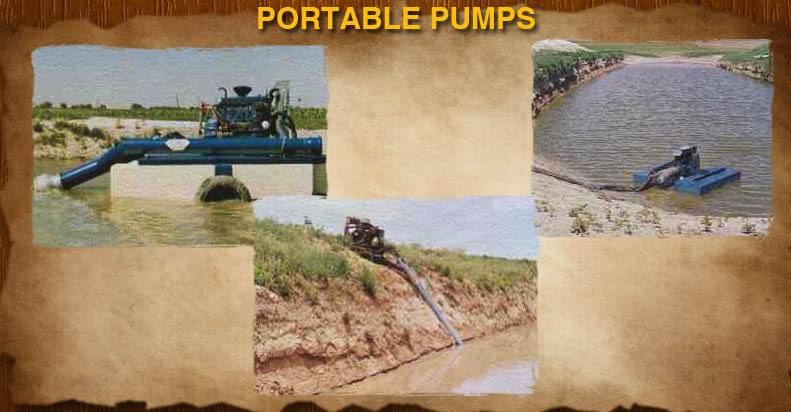 Its a big pump for a big job.